We’re so glad that you have discovered the many opportunities we have available for your child to participate in and from which to learn. Now that you know that ACA is right for you, it’s time to begin the enrollment process! If you have any questions throughout this process, please give us a call or email us. Campus tours will take place every Thursday beginning November 8 at 9:30 a.m. No reservations are necessary, and we welcome interested families looking at enrollment for the 2019–2020 school year. Any child five years of age on or before October 1 and a resident of Jefferson County is eligible to enter kindergarten. All students enrolled at Addenbrooke must enroll through the Choice Enrollment program. Jeffco Public Schools will be rolling out a new enrollment system, EnrollJeffco, for the 2019–2020 school year. All students will use EnrollJeffco in January to indicate where they will be attending school in August. 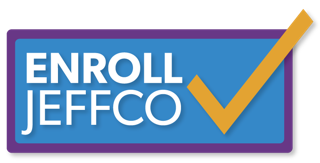 Whether students are re-enrolling at the same school, changing schools, or just starting in Jeffco, everyone will use EnrollJeffco. When do I use EnrollJeffco? December 3: Jeffco SchoolFinder tool opens. If you are interested in learning about different schools, browse through all 155 options in one place. January 22–February 8: Use EnrollJeffco to enroll in your neighborhood school or apply to a different school of your choice. Mid-February: EnrollJeffco users will receive either 1.) a confirmation, 2.) an opportunity to accept an offer, or 3.) information about wait-list placement for each school application. August: Students register for their selected school using JeffcoConnect. Parents submit updated contact information, fees, emergency contacts, and opt-outs. After mid-February, only new students may use this system to enroll. Current students wishing to change schools during the school year must use the administrative transfer process. Why is the system changing? EnrollJeffco is the digital replacement for Choice Enrollment. We expanded it in an effort to capture all students, make school information easier for families to access, streamline processes, ensure the same timeline for all schools, and give schools more time to plan for the next school year. See our main Enrollment page for details about special education, preschool, kindergarten, homeless students, administrative transfers, and more. Learn what Addenbrooke has to offer your family by attending one of our informational meetings. 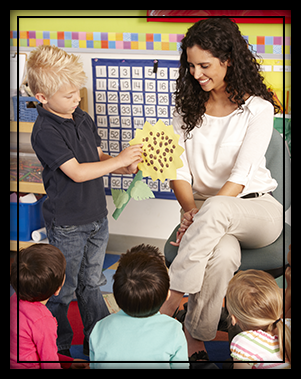 Then, get started on the path to a classical education by completing the enrollment forms. All meetings will be in the library at Addenbrooke Classical Academy. December 12, 2018 at 9:00 a.m.
January 10, 2019 at 1:30 p.m.
January 23, 2019 at 6:00 p.m.
April 11, 2019 at 10:00 a.m.
We require students be immunized in accordance with the Colorado state immunization requirements.